Really enjoyed the article. 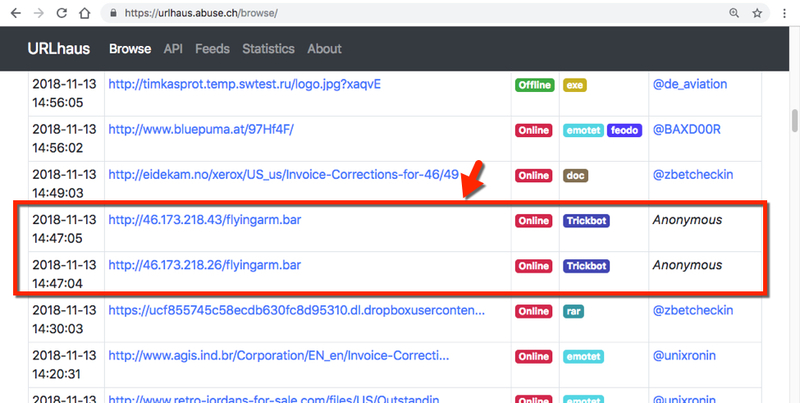 Your statement "I checked my employer's tools, where I found at least 20 examples of malspam using attached Word documents with macros to generate these URLs" intrigued me. If possible, would you expan on, at least in generalities, what tools you use? I understand you might not be able to be specific, so maybe just some categories, or maybe tools you personally find helpful? Thanks for the comments! Always appreciate the kind words. Quoting Anonymous: If possible, would you expand on, at least in generalities, what tools you use? I can't really go into my employer's tools, but I can talk about some of the publicly-available tools I use. - VirusTotal Intelligence: A service paid for by my employer, allows people to retrieve malware and malspam samples submitted to VirusTotal. Cost-prohibitive if you want to pay for it on your own. - Reverse.it / Hybrid-analysis.com: A malware analysis sandbox. Requires valid email to register for a free version. A way to share malware samples with the community. - Any.run: Another malware analysis sandbox. Requires valid email to register for a free version. Tends to work better than Reverse.it / Hybrid-analysis.com for post-infection traffic. Free version very limited, though. 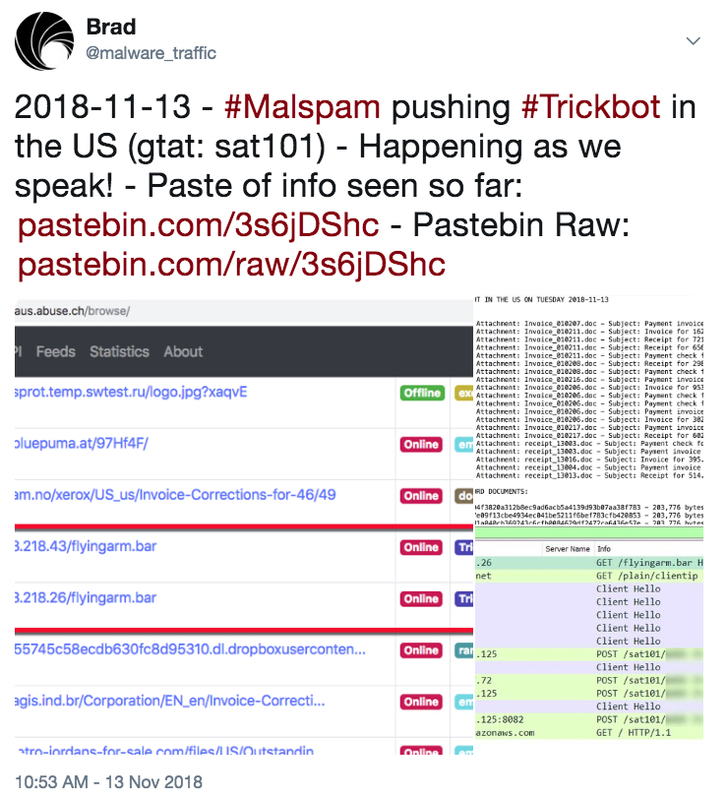 Another way to share malware samples with the community. - community.riskiq.com: RiskIQ community edition. Can get passive DNS info and other interesting data when searching IP addresses and domain names. Yes it does. Thanks for the response. I understand not being able to discuss your employers tools, we are in the same boat. But wouldn't it be nice if we could?